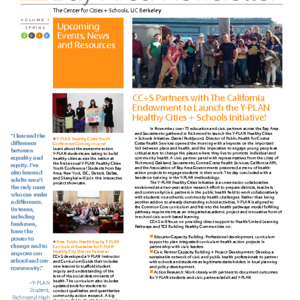 Over the past 9 years, students at high schools in Richmond, California have grappled with issues at the core of community health and wellbeing: park development, improving public housing, addressing transportation safety and connectivity, and adopting more equitable school funding. 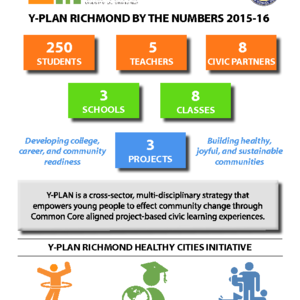 In recent years, Y-PLAN projects have been driven toward engaging young people in healthy city planning as the City of Richmond has embraced a citywide focus on addressing health inequities through a Health in All Policies approach. In 2014, the City adopted the first-ever Health in All Policies (HiAP) ordinance and strategy. This ordinance takes a 'social determinants' view of health equity, acknowledging that "health starts in communities--where we live, learn, work and play--and that everyday decisions within the City of Richmond can promote health". As the City of Richmond has deepened its understanding of health equity and place, civic partners turned to the city’s youth to gain their insights on existing and future visions for a healthy Richmond. 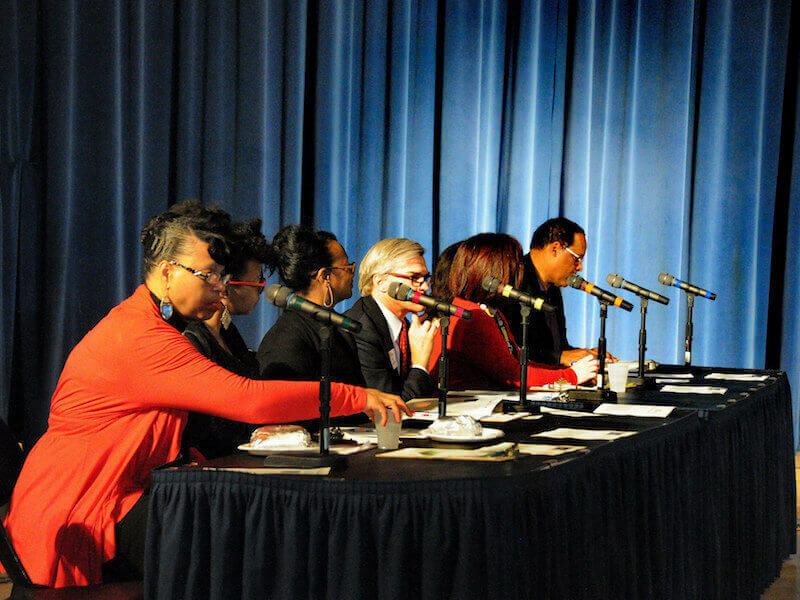 Examining the root causes of health inequity and asking "why?" was a natural alignment to the Y-PLAN curriculum. 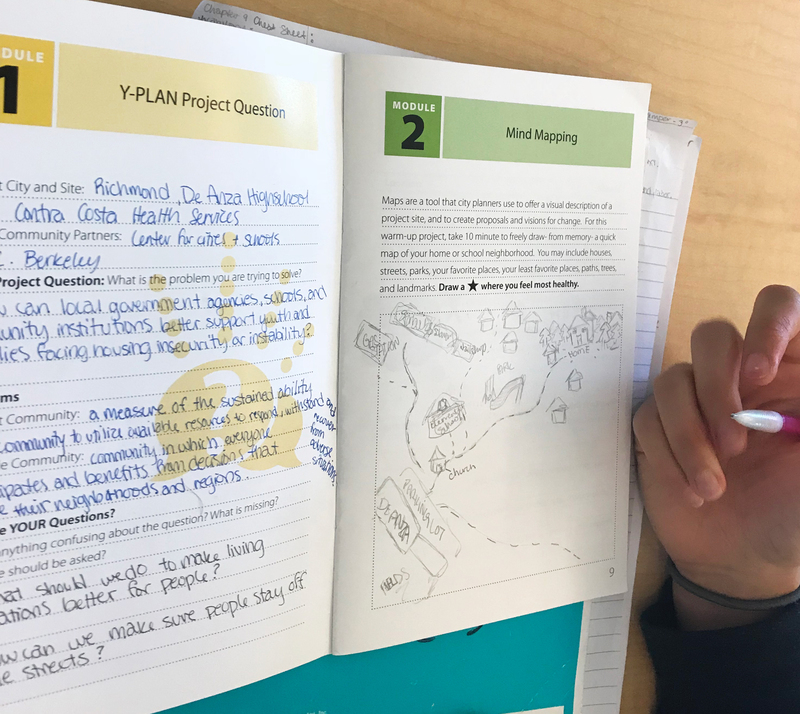 This year Y-PLAN is working with Kennedy, De Anza, and Richmond High Schools. 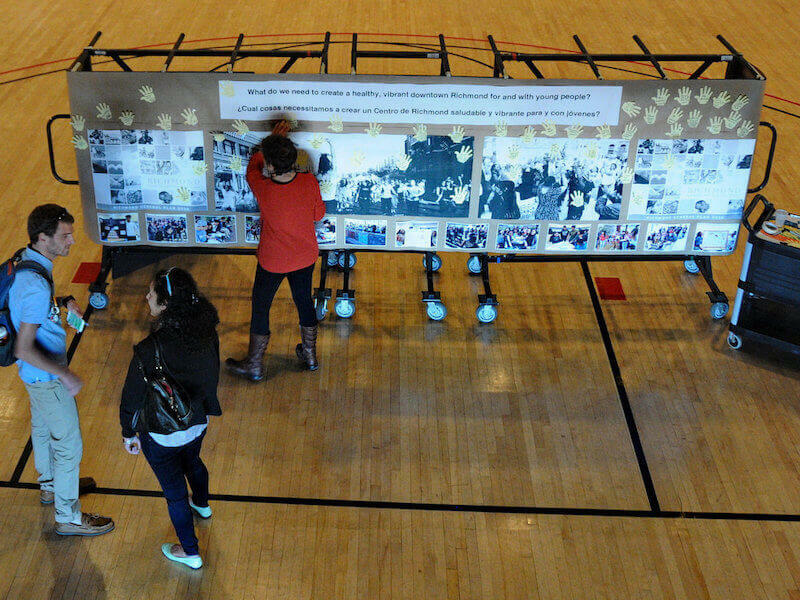 At Kennedy, the IT Academy is partnering with the Resilient by Design | Bay Area Challenge to make recommendations on how technology can be used to make Richmond communities resilient for climate change. 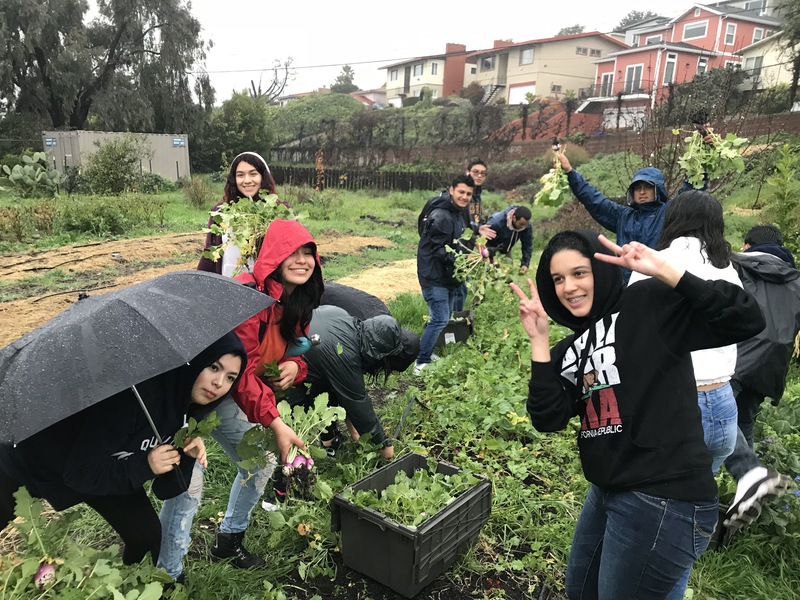 Richmond High School Health Academy students will be working with the Food Bank of Contra Costa to envision a food resilient community, where the most vulnerable populations have access to healthy food. 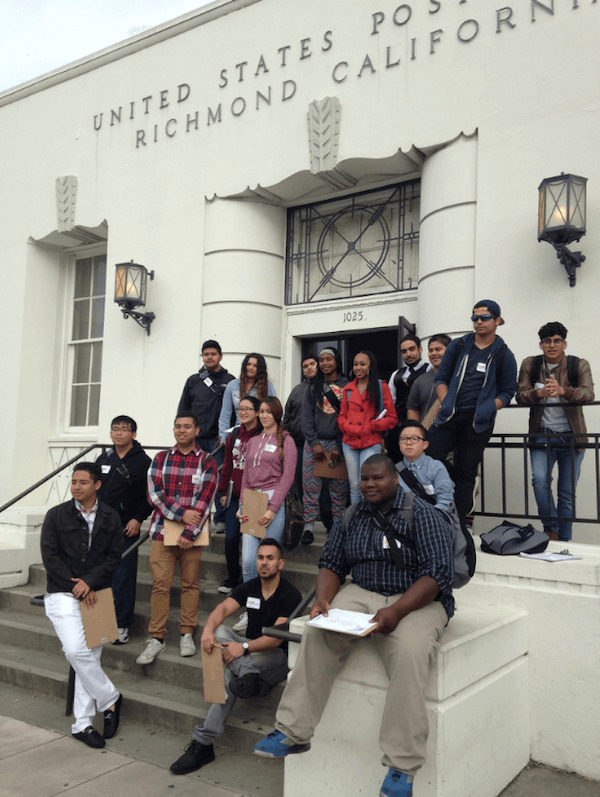 Students at De Anza High School Health Academy will learn about the housing challenges Richmond communities are facing and make recommendations for how to best support youth and families struggling with housing instability and homelessness. As part of the Building Healthy Communities partnership, we embarked on our first Y-PLAN Adult Pilot. The students in this project were young adult residents between the ages 18-25, who were interested in developing skills for careers in Information and Computer Technology (ICT) paths. Our partners included Healthy Richmond Hub, L.E.A.P, The Stride Center, and Rubicon. Their project focused on envisioning healthier bus stops with wifi access. Their project client was the City of Richmond IT Department. We thank last year’s civic clients, BART and Trust for Public Land, for their support, leadership, and commitment engaging youth authentically. Sorry, no projects match your search.